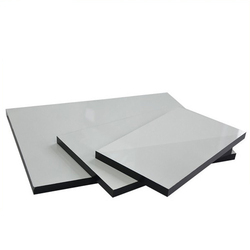 Offering you a complete choice of products which include sublimation wood board, personalized sublimation tile, sublimation ceramic tile and sublimation tile. 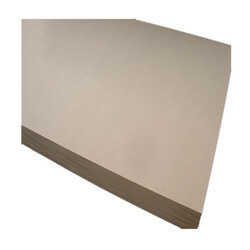 Made available in the market at the best rate possible, the offered Sublimation Wood Board. is highly praised and preferred in the market. Manufactured in accordance with the set industry norms and guidelines, by trusted vendors, its quality never deteriorates. In addition, the offered product is characterized by superior sturdiness, high durability and an impeccable tolerance of heat. Being one of the leading providers of this highly commendable Sublimation Wood Board, we make it our priority to provide our clients with the finest that is available in the market. Manufactured in accordance with industry set norms and guidelines, by reputed vendors, its quality is highly standardized. In addition, the offered product is characterized by superior finish and resistance to heat. We are among the reputed names in the industry for wholesaling Personalized Sublimation Tile to a wide clientele based across the nation. The offered tile is extensively demanded or decorating corridors and walls owing to its seamless finish, resistance towards wear & tear and easy maintenance. This tile is dimensionally accurate and can be installed easily. It is available in a wide range of designs. We are among the prominent players in the industry for wholesaling and importing Sublimation Ceramic Tile. The offered tile is in high demand as it is ideal for sublimation printing and is attractive in terms of design as well. It is resistant to stains, scratches, abrasion and wear & tear. This tile is precise in size, seamless in terms of finish and is available at market leading prices for meeting the demands of clients. We are among the successful names in the industry for wholesaling and importing Sublimation Ceramic Tile. The offered tile is applicable in households and hospitality industry for decorative purposes and can be used for sublimation printing as well. This tile is easy to clean, resistant to stains, durable and requires the least maintenance. It has earned us a huge clientele and loads of appreciation. Looking for Sublimation Wooden Tiles ?